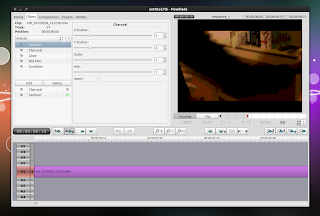 Flowblade is a multitrack non-linear video editor for Linux designed to "provide a fast, precise and as-simple-as-possible editing experience". The application can be used to join or cut videos, create movies from video clips, audio clips and images, add filters and more. Because Flowblade uses a "film style" editing paradigm (clips are placed tightly after the previous clip automatically, or between two existing clips) like Avid Media Composer or Final Cut X, it will feel very different for those who have previously used other video editing applications such as OpenShot or Kdenlive for instance. In my short test, this featureful application seemed very robust and somewhat easy to use and I must say that it seems odd for Flowblade to be relatively unknown, considering it's been under development since 2009. 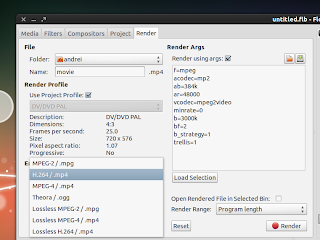 Hopefully, the application will be added to the Ubuntu / Debian repositories soon (there's a request to be included into the Debian repositories), thus making it more popular. You'll probably want to ask me how it compares to other video editing applications but since I don't do a lot of video editing (mostly just cutting, applying a few filters and that's about it), I really can't say much here. But if you give it a try, please let us know what you think in the comments! For how to use Flowblade, check out the 3 tutorials linked on its Google Code page and the Flowblade Reference Guide.